Yesterday before the president’s meet the press, a friend twitted ‘6months of fighting galamsey, borrowing and wearing African print’. The president stated that the meet the press was in line with its probity and accountability that they wish to achieve. His speech covered almost every sector of the economy. He spoke about the controversial BOOST issue saying that a new committee has been tasked to find measures to avoid another contamination. The president also addressed the state of the security system given the rise to vigilantes in the country. He noted that the delta forces are under control and as a matter of fact he has made sure the law took its course duly. He touched on the armyworm issue and said the government is on it and is putting in place frantic measures to bring the situation under control. He also admonished mob justice. 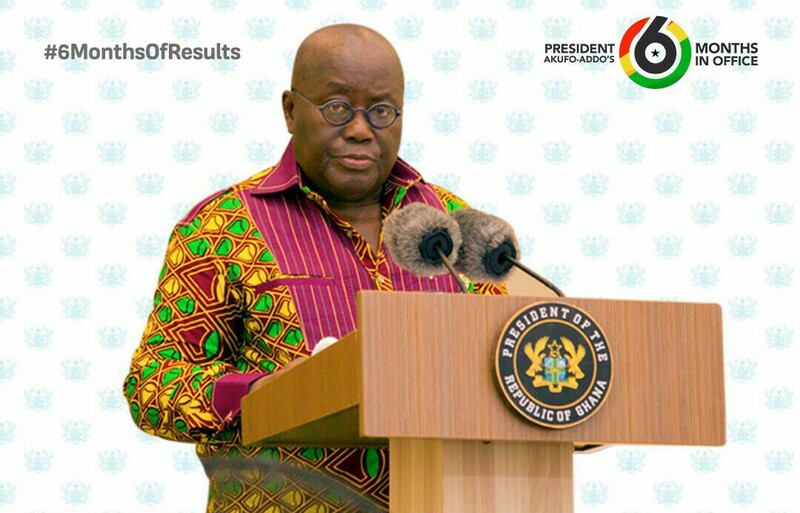 His address was took turn to its emotional state when he started talking about the effects of galamsey not just on the Ghanaian soil but on the neighboring countries as well. He used this opportunity to applaud the media and the entire citizenry on how they’ve all aided in the fight. He noted that the country is financially stable as she has gained the lowest inflation rate in the last 5 years. He also made mention of the IMF deal stating that when it ends in April he and his government has no interest in extending the deal. Journalist took turns to quiz the president. He made some of the resource persons namely the Vice- President, Attorney General and some of the ministers present to answer some of the questions that were asked in the respective sectors. I think it was a smart move to have made the resource persons answer some of the questions although it was supposed to be the president meeting the press and showing to the world that he is abreast with all the issues of the engulfing the country. The journalist each asked questions that were of personal interest to them. In view of this I doubt if any of sung praises on the presidents administration with their questions. Anytime the president takes to the podium to speak he uses the opportunity to reenergize and encourage the populace on his vision of hope for the country. 6months too short to do something substantial as everything that needs to be done are have to go through some bureaucratic measures before they actually comes to be. Everyone started laughing when the president started answering the question posed but Vim lady of Adom Fm about bugging of offices. He then said the right person to ask is Inusa Fuseni. Kudos to the minister of information and the presidents spokesperson for a good job done. We look forward to seeing a more financially stable economy and a peaceful country where we can walk and go about our daily activities without fear and panic. Next Next post: A Colourful Roof over a Porous Foundation.